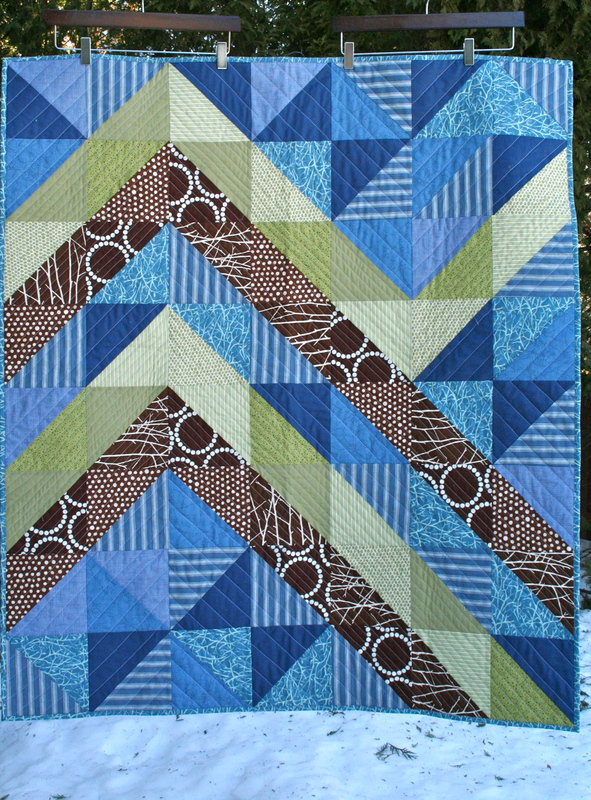 This is a baby quilt for Michele and her third little boy, who is due in a few weeks. I read her blog for a long, long time before commenting or emailing her, relating to some of her feelings, checking in on parenting adventures and life news. (I did order some of her amazing lollipops from her Etsy shop.) But when she moved to a town not far from mine, I finally reached out and welcomed her to the neighborhood. It was around the time I really started engaging with people through the internet and not just reading on my own. It made me feel a little less like a stalker. And when we did connect, I felt so silly for not doing it sooner. 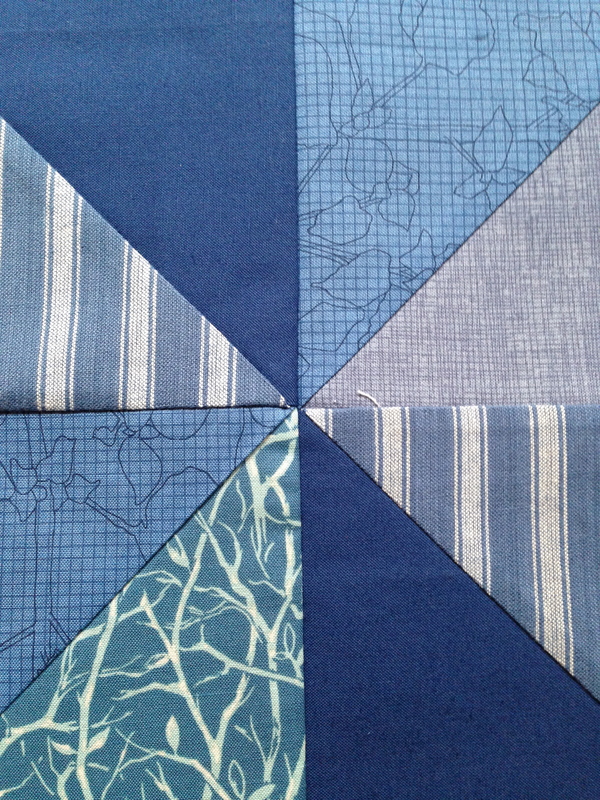 Michele liked the BFF quilt, so I wanted to do something similar with angles and half square triangles. She asked for blue, brown and sage green to match the baby’s bedding. 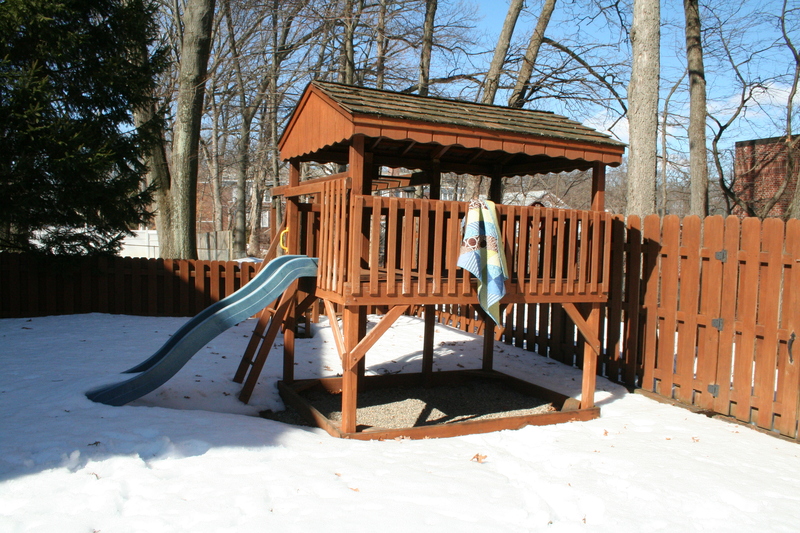 I have to admit that it was a palette I don’t usually use, and I worried a bit about making brown modern. But I found three prints in a rich chocolate color with white shapes, including pearl bracelets, and it just worked. The design features a non-conformist angle who I alternately imagine is either an introvert who just needs a little alone time or a non-conformist trying to change the rules. I tried to make my own ombre effect with different shades of blue, including a soft stripey shirting material, Botanics from Carolyn Friedlander (my cherished fabric line of the moment) and Kona Windsor. The greens include Dear Stella Piper Scallop, a great Denyse Schmidt stripe from Florence and a Kaffe Fasset shot cotton. I also used the shot cotton for the back, which washed up so very soft. 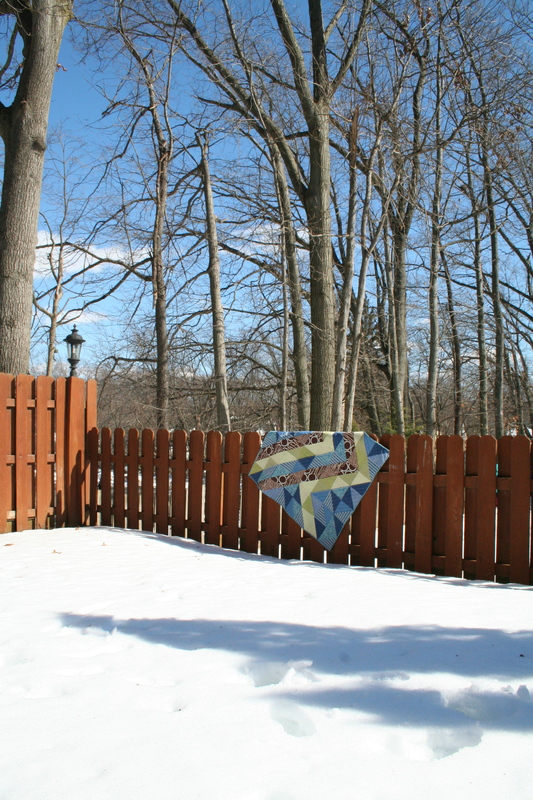 The day I took pictures of this latest finished quilt, the sky matched the blues and it all came together in the most seasonal, lovely way. 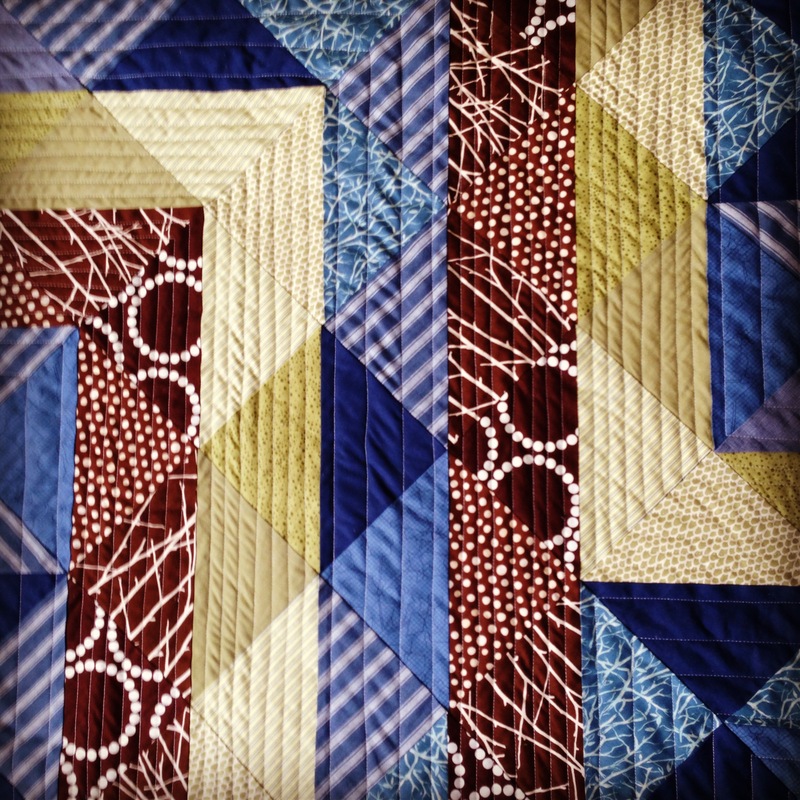 I hope that this quilt enjoys its stay in a house full of boys and cats and sweets and love. Here’s a good Friday song from a band Michele and I both enjoy, the Mountain Goats. 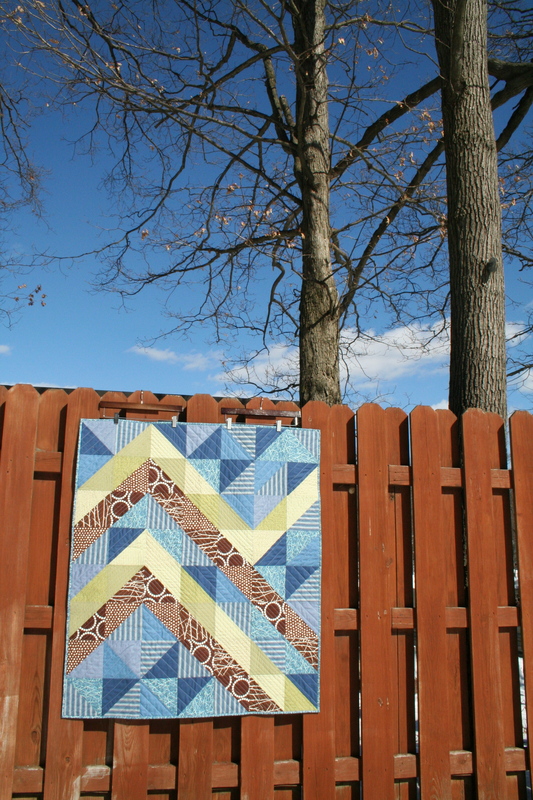 Such a sweet baby quilt! 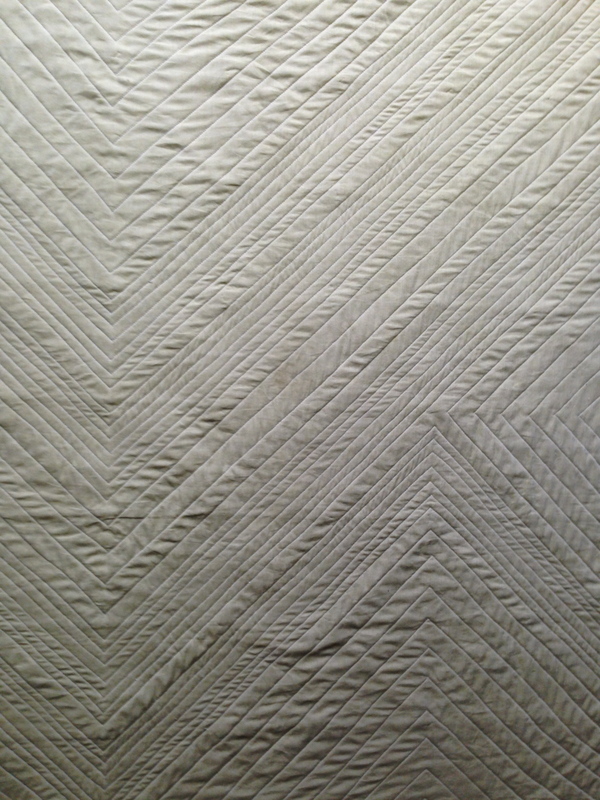 Love the quilting on it! Love this one …. and the renegade angle most of all!